For centuries managers within organisations have pursued management processes focused upon a fixation on fault and failing, in workplaces around the world each one of us has been encouraged to analyse and correct our weaknesses and while this approach is well intended, the approach does very little to reveal our talents and strengths. Many people believe that their greatest improvement will come from overcoming their weaknesses. Rise to the challenge and learn how to build an environment that helps make it possible for all to perform as if they were in the top 10 percent. Identify existing competencies that make the biggest difference to the success of your team and concentrate your development efforts on them. Doing what you do best – At work, do you have the opportunity to do what you do best every day? Is your fixation on fault and failing? 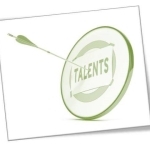 What is talent, When is it difficult to source and retain? Accelerating the development of talent. Finding Susan Boyle – who could emerge from your hidden workforce? Collecting Competency Information – what talents do we need? Your competency based Repertory Grid – where can that talent be found amongst existing employees? Tacit knowledge is an asset to your competitors. Are you recognising it, utilising it, rewarding it? Do you know who has it? Are you leaking it?